This topic is an answer to sheikh Turi’s ‘Did The Prophet (S) Really Certify His Successor Before Demise?’ as published in LEADERSHIP FRIDAY of November 1, 2013. In the response concerning Ashura, my respected readers must have discerned the atrociousness of the Twelve Imamer Shi’ites in their woeful attempt to distort the way we celebrate the 10th of Muharram from fasting and exultation to sorrow, blood and agony. The main doctrine of the Twelve Imamers and Ja’faris, however, was discussed in the above piece by sheikh Turi. He has shown that ‘the successors of the prophet must be twelve and invariably from his clan Bani-Hashim as a grand design by Allah the most high!’ No one has right to choose a successor, for Allah has done that already with Ali (RA) as the first in the line ‘and last Muhammad al-Mahdi…’ who is the Twelfth Imam. Thus, in Shi’ah religion, belief in imamate is an integral and the most preferred part of faith. Sunni Muslims believe in the validity of the elected caliphs, who were vested with the leadership of the Ummah after the demise of the Prophet (SAW); that the belief in caliphate is neither an essential nor a recommended part of the faith, and that there is not a single verse in the Qur’an that calls for belief in imamate. Let me start by this vaunt of authenticity by Sheikh Turi concerning the above hadeeth. It will interest the Sheikh to know that this hadith is not reported in the authentic sources of hadeeth of al-Bukhari, Muslim, Abu Dawud or an-Nasa’i. Only Ibn Majah and at-Tirmidhi have reported it, and at-Tirmidhi classified it as a weak hadeeth! It is clear from the above that Sheikh Turi avoided mentioning the context in which the Prophet’s pronouncement was based – namely that a group of soldiers were severely criticizing Ali ibn Abi Talib (RA) over a certain matter, and this news reached the Prophet, who then said what he said in the Hadith of Ghadir Khumm. The Prophet’s intention behind saying what he said at Ghadir Khumm was not at all to nominate Ali (RA) as Caliph but rather it was only to defend Ali (RA) against the slander being said against him. It is only by removing the background context that it is possible to render a Shia understanding of the text as we saw in Sheikh Turi’s position. For the sake of this write-up, I will prefer to deal with the hadeeth as presented by Sheikh Turi. Let us look at the place in which this event occurred. Sheikh Turi said it was ‘near Juhfa, at the crossroads to Egypt and Iraq’. This is wrong! 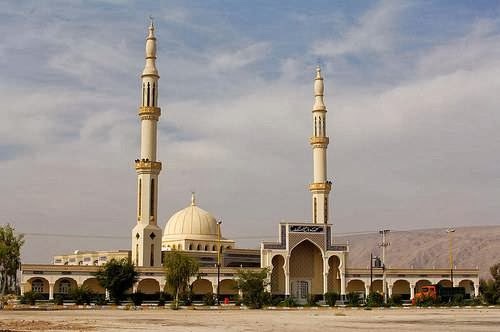 Ghadeer Khum is located approximately 250 km away from Makkah. Sheikh Turi is either geographically challenged or has been misguided by apocryphal sources. I urge the respected reader of this piece to take a map or google the location and see Sheikh Turi’s fallacy in this issue. The whole premise of Shi’ism is shattered since the event of the presumed appointment of its first imam happened on a false location! If this speech at Ghadeer Khum was meant for the entire Muslim Ummah to herald the ascension of ‘Ali (RA) to imamate after the Prophet (SAW), why did he (SAW) not include it in his Farewell Sermon that was attended by all the pilgrims that performed the Hajj? Why did the Messenger of Allah have to wait until the after the long journey to Ghadeer Khum when most of the people had dispersed? Of course by this time, Sheikh Turi’s ‘no fewer than seventy thousand pilgrims’ would have reduced to much lesser figure. Most assuredly, Ghadeer Khum is located midway between Makkah and Madeenah, some 250 km away from Makkah as established above. It was not possible, therefore, that all the pilgrims to converge at Ghadeer Khum as most of them will proceed to their countries in opposite directions like those heading South of Makkah to Ta’if or Yemen. The people of Makkah for instance would naturally remain in their home city after Hajj. It does not make any logical sense that they should leave Makkah to pass through Ghadeer Khum in order to return to Makkah. The Makkan Muslims would have ended their Hajj in Makkah, and the Muslims of Madeenah would have left for their home city, stopping at Ghadeer Khum without the company of the Makkan Muslims whom they had left behind in Makkah. The same can be said of the People of Yemen, of Ta’if, etc. Indeed, all of these major Muslim cities were not be included in the speech at Ghadeer Khum, and this is very odd: had the Prophet (SAW) wanted to nominate Ali (RA) as Caliph, then surely he would have done this in front of all the Muslims from Makkah, Taif, Yemen, etc. In consideration of the above, the Prophet (SAW), in his speech at Ghadeer Khum, was actually correcting a specific group of Muslims, namely, the soldiers from Madeenah who had been dispatched to Yemen, rather than addressing the entire pilgrims that performed Hajj that year. That prophetic address of Ghadeer Khum was primarily to the group that had been criticizing ‘Ali (RA) and it was for this reason that the Prophet (SAW) did not include this in his Farewell Sermon of the Last Hajj in the presence of the entire pilgrims! Sheikh Turi translated the word ‘Mawla’ as ‘Master’ in the hadeeth under discussion. He did not place the Arabic equivalent in brackets as shown (above) in at-Tirmidhi’s version, and as we see in Shi’ah sources, like their website: www.al-islam.org where that part of the hadeeth was translated as, “For whoever I am his Leader (mawla), ‘Ali is his Leader (mawla).” Sheikh Turi did not do that; he chose his own translation of the word Mawla, i.e. ‘Master’ and continued with his discussion on succession. Was this concealment of the Arabic word by Sheikh Turi meant to downplay its significance in the sentence, or was it for the purposes of exaggeration? “Mawla” is commonly defined as “servant” and not “Master”. A former slave who becomes a servant and who has no tribal connections was referred to as a Mawla, such as Saalim who was called Saalim Mawla Abi Hudhayfah because he was the servant of Abu Hudhayfah. Any standard Arabic-English dictionary could be checked by anybody to see the various meanings attached to the word Mawla; they are sure to find, amongst other things, the following: lord, owner, benefactor, liberator, helper, lover, ally, slave, servant, brother-in-law, cousin, friend, etc. “Master” cannot be the right translation for “Mawla”; “a beloved friend” would rather be a better rendering, given the context in which the Prophet (SAW) uttered the sentence that followed the word. The Prophet (SAW) followed the word Mawla with, (let us use Sheikh Turi’s version of the hadeeth): “O Allah! Love him who loves him and hate him who hates him…” - which makes more sense than saying ‘Master’ and following it with ‘love’ and ‘hate’. Therefore, in essence, the Prophet meant that ‘to whomsoever I am a beloved friend, Ali is his beloved friend.’ “O Allah! Love him who loves him and hate him who hates him….” He was referring to love and close relation, not Caliphate and Imamah. Interestingly, the Qur’an has made our task easier by providing insight into the meaning of Mawla in a number of verses. Going by Sheikh Turi’s translation of Mawla the latter part of the verse would have been that the fire is the abode and master of those who disbelieved. Meaningless! Mawla does not mean ‘Imam’, ‘Caliph’, or ‘master’. In the above verse, Hellfire is disbelievers’ Mawla due to their extreme closeness to it, and it is this definition of Mawla that is being referred to in the Hadith of Ghadeer Khum (i.e. extreme closeness to the Prophet, ‘Ali, and the believers). It appears that Sheikh Turi is confusing Wilayah with Walayah. Indeed, the word “Mawla” comes from “Wilayah” and not “Walayah”. Wilayah refers to love and Nusrah (help and aid), while Walayah refers to leadership. From Sheikh Turi’s translation of the word Mawla, the above verse would mean that Allah is the “Master” and leader of those who believe, and disbelievers have no “Master” and leader. This flawed translation would have imputed incongruity in the Qur’an in as much as Allah has talked about A’immah (leaders) of kufr (Quran, 9:12), and another class of leaders calling towards the Fire (Quran, 28:41). Here, we, believers in general, are all referred to as Mawla one to another. Are we then ‘Masters, Caliphs and Imams to one another? Of course not. Clearly, the word “Mawla” here refers to love, extreme closeness, and help. In fact, there is not a single instance in the Glorious Qur’an in which the word “Mawla” is used to refer to Imamah or Caliphate! Do we say that this verse means ‘no “Master” will benefit his “Master” on the Day of Judgment’? This is nonsense! Not everybody can be leaders; some lead, others follow. Putting the right interpretation of Mawla, beloved friend, you see that people could be Mawla of each other and it would be linguistically correct to refer to the two groups as Mawla as Allah does in the Qur’an. The Messenger of Allah (SAW) was known for his clear speech in conveying Allah’s messages to the people. His task was to explain plainly, whatever Allah revealed to him. He (SAW) was never allegorical or ambiguous in relating the instructions of his Lord to His bondsmen. Instead of saying ‘to whomsoever I am Mawla, Ali is his Mawla’, what stops him from saying something more plain, like, ‘I hereby nominate Ali as your next Caliph after my demise’ or ‘Ali is my successor and the first Caliph of the Muslims after me’? Therefore, the Ghadeer Khum hadeeth and the descriptions it contains about ‘Ali (RA) have nothing to do with the Prophet (SAW) nominating him to be his successor. Those descriptions were not limited to ‘Ali (RA). The Prophet (SAW) had used the same and even better descriptions, as we have seen above, for other companions. Sheikh Turi presented Ma’idah: 67 to mean that the nomination of Ali was what was revealed to the Prophet (SAW) which he was commanded to deliver, and that when he did that Allah revealed “…This day have I perfected for you your religion and completed my favour on you and chosen for you Islam as a religion…” Ma’idah: 3. What could be deduced here is that it was ‘Ali’s nomination to imamate that completed Allah’s favours upon the believers and made Islam acceptable to Allah. Subhaanallaah! Nothing could be further from guidance! I urge the reader once more to pick up, (this time not a map but), the Glorious Qur’an and start reading from Ma’idah:59 up to verse 86. You will certainly realise that what comes before and after verse, 67 could not possibly have been revealed concerning ‘Ali’s nomination as the whole narrative was addressed to Ahlul Kitaab, the People of the Book (i.e. the Jews and the Christians). We are back to the same issue of quotation out of context. Reading these verses, it is apparent that the addressees are the Jews and the Christians, and the absurdity of Sheikh Turi’s cut-and-paste posture with the Glorious Qur’an comes to the fore. Changing words from their context and manipulating the Word of Allah are grave iniquities that lead to the path of repudiation. Why must one impute falsely into the revelation what was not the intent of the Revelator? 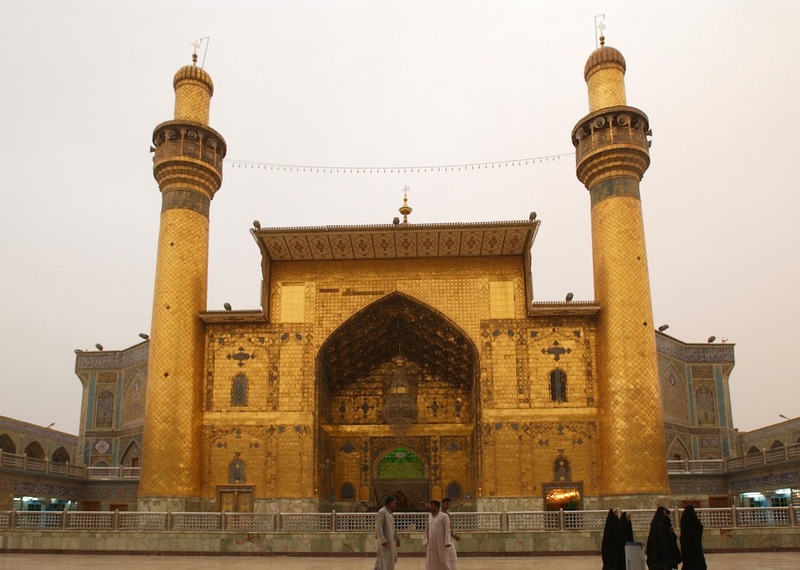 It is sad that the claimants of this fairy tale of ‘Ali’s nomination at Ghadeer Khum can go as far as twisting texts in a failed attempt to establish delusions of imamate. Jazakallahu bi khair. It is really very clear. May Allah guide them to the right path.